Undoubtedly one of the most recognized names in all of audio, Bose has brought countless innovations to market since its inception in 1964. While the company is probably best known for its ubiquitous consumer noise-canceling headphones, Bose has also managed to make its mark in far less obvious corners of the industry, with products ranging from professional loudspeakers for commercial audio to automotive speaker systems to noise-canceling tactical headsets for the military. In the last decade, the company has made waves in the live music arena with the L1 portable PA systems, which are widely used by solo performers, bands, and DJs for adding sound reinforcement to smaller rooms, such as bars and restaurants. Designed to serve an even broader set of applications than L1 systems, Bose now introduces the portable F1 Flexible Array Loudspeaker System, which features the F1 Model 812 Flexible Array and F1 Subwoofer powered speakers, sold separately. 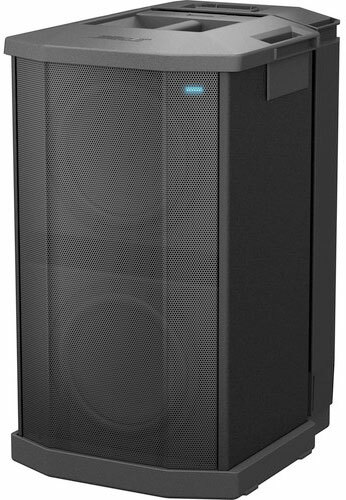 Offering 1,000 watts each, these speakers pack plenty of power and are capable of accommodating a wide range of venues. One of the main reasons the F1 Model 812 shines is because it offers four different vertical coverage patterns, allowing users to optimize their sound to fit the performance environment. So whether you’re playing at floor level, on stage facing a dance floor, or facing raked seats or bleachers, you can adapt your PA to the room. The speaker features eight mid/high frequency drivers that are mounted on a flexible baffle, which allows you to push or pull the array into position to create four vertical coverage patterns: “Straight,” ”J,” “Reverse J,” or “C.” Once set, the system automatically changes EQ settings to maintain optimal tonal balance for each particular coverage pattern. The F1 Model 812 also features a high-performance, 12-inch woofer that provides strong low-frequency output, and an integrated two-channel mixer. Each of the mixer’s inputs features independent level controls, and can accommodate XLR, 1/4-inch and RCA connections. The F1 Subwoofer boasts two high-excursion 10-inch woofers to provide deep, impactful bass in a compact design that’s relatively light and easy to carry. A built-in stand is stored in the rear of the subwoofer, making setup fast and easy, and it also has cable channels for neatly hiding wires. The sub’s line output can be set to full-range or high-pass filter, allowing for easy crossover selection when used with a main loudspeaker. With a design inspired by large format professional systems for theaters, arenas, and other large spaces where optimal coverage is critical, the F1 System brings the same concept to a small-format portable PA. The F1 is sure to be a hit with smaller touring bands, performers, and DJs who need a versatile sound reinforcement solution that can adapt its coverage to a variety of acoustic environments. Exceptionally very nice! Reference prices of each unit and local availability in KENYA? We only offer these for sale in the USA. 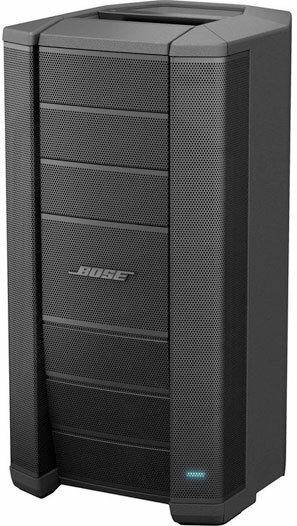 Please contact BOSE locally for availability and pricing.